✅ Trip Verified | I review here terminal 1, as terminal 2 is very different and for low cost flights only and is famous for very poor service. So for terminal 1, check in: well organized, smiley, attentive and helpful staff, not crowded. Security: honestly my very best experience so far, fast, smiling and patient staff (first time I ever meet a security team who seems to actually like their job and who don’t make me feel like an annoying user. They actually made me feel but like a welcome customer). Waiting area: enough seating, power sockets for laptop and smartphone everywhere, carpeted floor, corridors leading to the plane so we have never been outside. Toilets: not enough of them, bad smell, a lot of “out of order” ones, poorly indicated, no coat hook in the toilet stall (in winter time, when everybody wears big jackets, nobody wants to drop it on the floor in the toilets nor keep wearing it while using the toilet). But the stalls are fully closed so at least you have privacy. However, I only saw one single stall for disabled people and that’s really not enough. There is not a lot of options for food in the terminal and as usually the few available are excessively overpriced. We travelled with a disabled person and were very disappointed by one part of the service. When the staff to assist arrived they were perfect but from the parking to the check in counter, there is absolutely zero indication about how to get assistance from the parking. Even the staff told us that my grandmother had to walk till the check in wihich is not true. She had to walk from the parking, al the way thru the mechanic stairs (which are scary as they are way too fast for her) and then all the way inside the entry hall which is quite big. In every other airport I traveled with, there was indication and a way to contact the assistance staff from the parking so they can come to pick her up from there. Not Verified | I travel regularly in and out of Marseille the security staff are usually pleasant. However the facilities are truly appalling poor eating & restroom facilities and the seating in MP2 is positively dangerous. Just this week as I leaned forward to get something from my bag unbeknown to me seat flipped back and when I went to SS it again I landed on the ground causing an injury to my back from the iron holding of the chair. Almost impossible to find where I can complain. I gave up in the end. For frances 2nd city they should do better!! The outside has recently been refurbished I do hope they will upgrade the inside. I wish there were more regular flights to Avignon. "like a terribly built shack"
✅ Trip Verified | Terrible airport. Terminal 2 is like a terribly built shack. Very basic facilities. I've had better on tiny Greek islands. This is not what I expected for the second largest city in France. Only one food outlet in the whole of terminal 2 once through security. One duty free and a Relay shop. One lot of toilets which were upstairs none once you are in the gate areas. Huge queues at passport control and even once through the gate wasnt big enough to hold a small 737 flight. I was left out queuing in the corridor for 30 mins. Dirty and smelly toilets male/female closed at different times so all sexes using toilets. Not pleasant. Seating was sparse but there was extra upstairs. ✅ Trip Verified | Quite the most appalling airport conditions I have ever experienced for over 50 years. 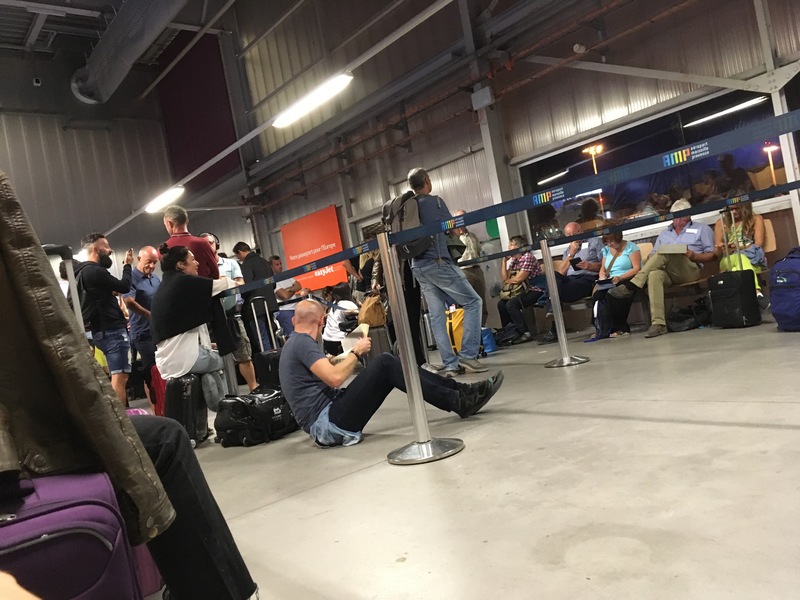 Flight delayed 2 hours - ok not a big issue but to be herded into a large dirty room at the gate with minimal seating (I am an elderly lady) and to wait here for an hour - if no seat - (not many) either sit on floor or stand for an hour, no toilets, no refreshments, no information and as yet no apology. Truly and absolutely awful. 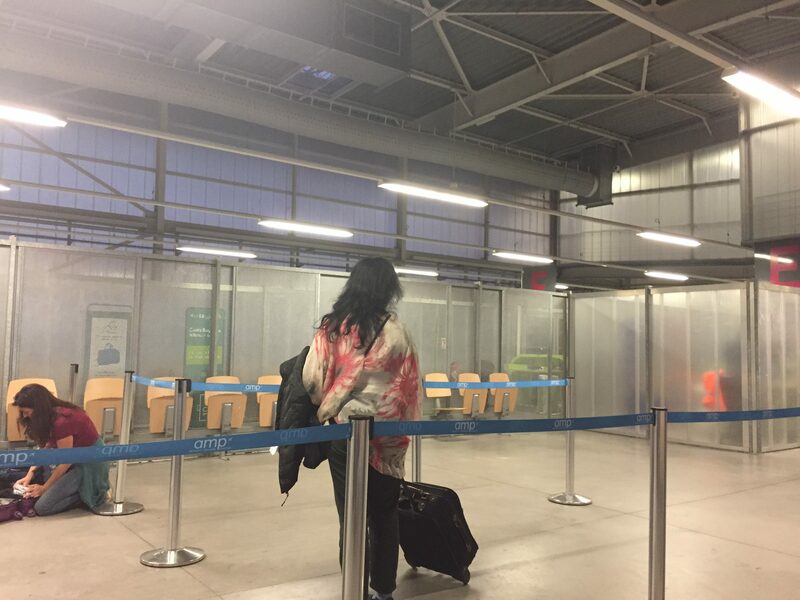 I will never fly to or from Marseille again. ✅ Trip Verified | I have to depart from this airport every week as a business traveller. The lounge is always overcrowded with almost no food selection and plastic cutlery. The air traffic control seems to always be congested meaning my flight is delayed more than it is on time. Not Verified | Not enough staff available for help. Check-in open last minute. Only few seats available at the airport with a long period waiting to check-in and boarding. No tickets printed for other connecting flights. The air conditioning system was not working enough. ✅ Trip Verified | This airport is below first world standards. Let’s start with no toilet seats in the toilets. The food and drinks offering is hopeless and expensive. Renting a car well that is an experience in itself here. No kidding is was over one hour with only about five people in the checkin for a car. This was Avis for reference but I’ve tried others and they are not much better. Sort yourself out before you get here and take a deep breathe in before arriving or leaving at this airport. Hopeless truly hopeless. 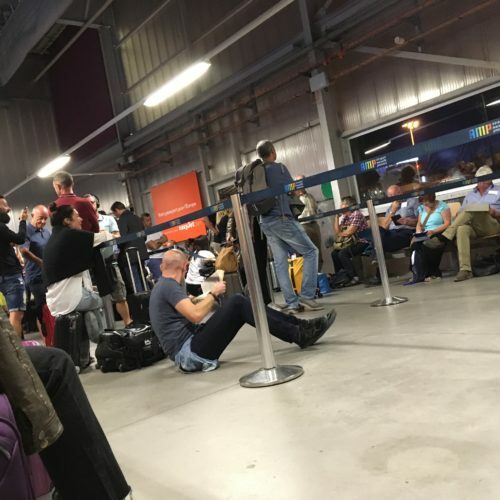 Not Verified | After a luxury river cruise, we were flying home to the States out of Marseilles Airport (MRS) from Terminal A, Hall B. I was apprehensive about doing this since I read so many bad reviews. Boy, was I surprised. 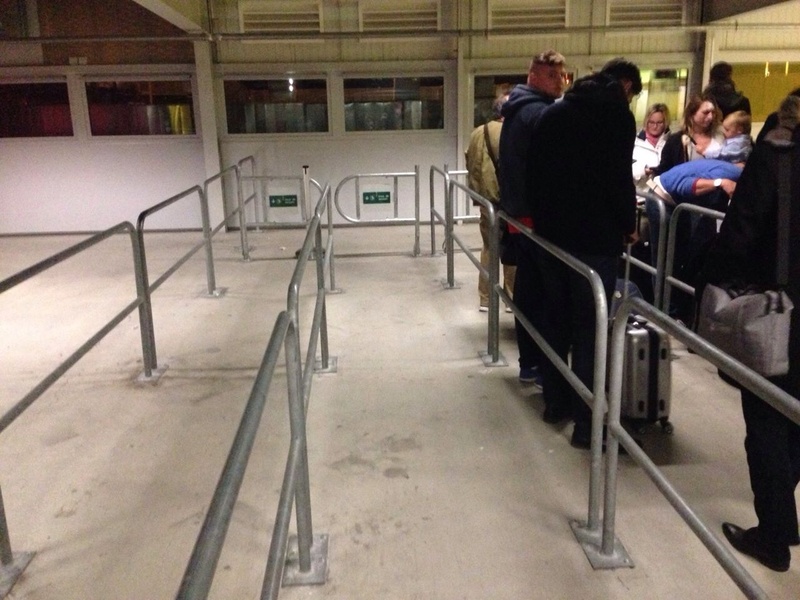 Is this the same airport people were criticizing? The airport was clean (and I am a neat freak) and had enough nice bathrooms around. Check in took only a few minutes. There was a dedicated business class check in line, which we used, but even economy didn't take more than 15 minutes. Our luggage was put directly on a conveyor belt and we did not have to take it to another line (as reviewers had said). Airport personnel were very helpful. In fact, as we were sitting there, one employee came up to us and asked us if we had any questions, etc. (certainly not rude or uncaring). My only negative about checking in is that no where was it stated that check in would start two hours before your flight time (thus, we would not have gotten to the airport so early if we had known that). Screening was equally as smooth and fast. My husband has a pacemaker and they knew exactly how to help him get through the screening process. It was easy to find our gate and seating at the gate was fine. I am in my 70's, have travelled many times and both my husband and I found Terminal A a pleasure to depart from. ✅ Trip Verified | This airport is so ridiculous and inconvenient. First, the boarding pass needed to be printed despite the barcode on the pdf that we had, and so we were told to go to the only public computer to print it out. After it took our card details to be charged for the first 15 minutes, the mouse didn’t work! It’s probably a scam. 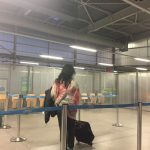 Eventually, we tried to beg the check-in personnel to reconsider us and after painstakingly explaining our dilemma, they took a blank boarding pass for a huge pile of them and wrote our flight details. So why did we all have to go through that trouble when that is possible? And we had at least 5 passport checks, for going back to our origin! 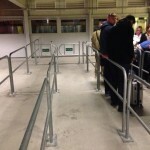 One in check-in, baggage drop, security, immigration, and ryanair. It’s so redundant and complete waste of time. What’s worse is that the personnel don’t seem to appreciate that our plane is leaving us soon and it’s their fault for having two immigration control to check for planeful of people 30 minutes before gate closing. Just outrageous! So stressful and they don’t care. ✅ Trip Verified | This airport is easily the worst that I have ever flown out of, disorganized and filthy. The security personnel are ignorant and rude. They don't deserve a job. I will avoid this terminal on all future trips. While going through security several permitted items were thrown away and while the staff laughed. If not for the possibility of ending up in a french prison I would have created a major scene due to the terrible treatment. There are no restaurants or stores beyond one duty free ship once through the gate.